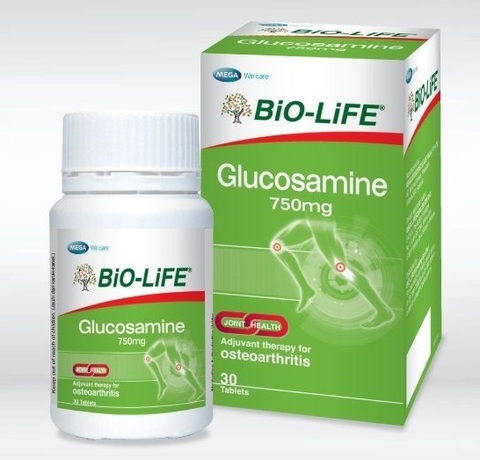 Glucosamine is produced naturally in the body, playing a key role in building cartilage; the tough connective tissue that cushions the joints. It is important in glycosaminoglycans and glycoproteins production, which are the essential building blocks of joints, including tendons, cartilage and synovial fluid. 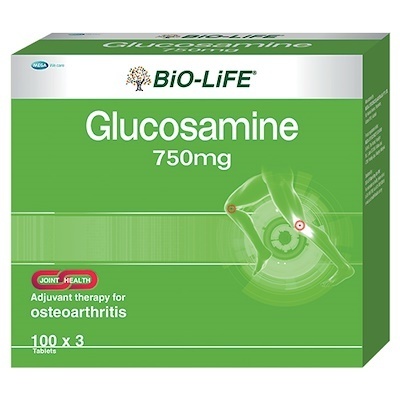 Glucosamine 750mg is in glucosamine sulfate potassium chloride form which has the absorption rate as high as 90%. 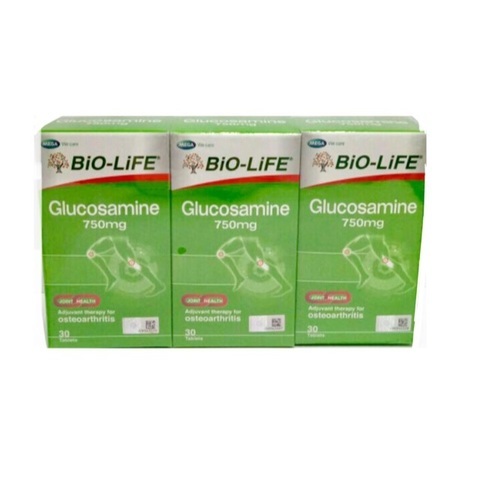 Adults: One tablet twice a day with meal or as directed by physician. Not to be taken by pregnant and lactating mothers.